Last month’s Volunteering Opportunities in your Local Schools session, hosted by HMRC’s Learning Academy in Preston, showed how civil servants here in the North West can use their skills to help promote social mobility and raise the aspirations of youngsters. The session was divided into two main parts, on the roles of school governors and of Enterprise Advisers, followed by a ‘market stall’ where those taking part in the session could get one-to-one advice from the experts and find out more about CS Local’s school projects! Inspiring Governance, funded by the Department for Education, is a free service connecting volunteers with schools looking for governors and trustees. 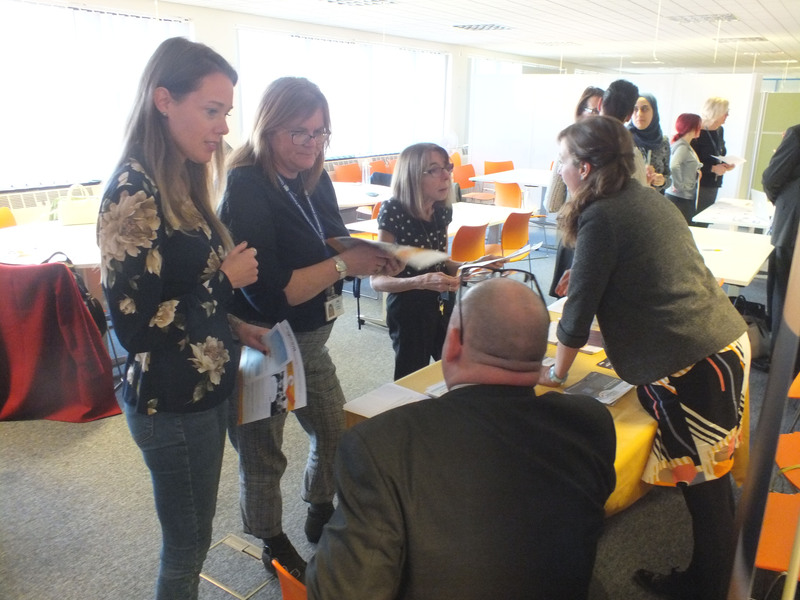 Those at the session learned about what’s actually involved in being a governor and took part in a group exercise where they explored how they could lessen the pressure on staff and pupils, how school budgets are managed and how to recruit new teachers. They also heard from the Aspire 2 Inspire project team, a Front Line Manager Academy family who are encouraging civil service colleagues to get involved in governance. Those present also heard how being an Enterprise Adviser can help bridge the gap between business and schools. Steve Field, from HM’s Land Registry, shared his personal experience about helping a local school each month to “equip kids with the skills they need to go out and get a job”. “It was great. You can get blinkered in the job you do and don’t realise just what’s out there. “I have a child with Special Educational Needs and this session has made me realise what’s out there for him and for other children. I have thought about being a governor before but have not made the leap and today has really inspired me to try and do this at my son’s school”. We plan to run another Volunteering Opportunities in your Local Schools session in the near future and you can find out more about this, and the many other projects run by CS Local here in the North West, by subscribing for updates!